Heritage old vines. We’ve always loved zin but what has really piqued our interest over time are the unique and scarce old vine vineyards from which some of this fruit is grown. We wanted to source some of this fruit, and we had some vineyards/areas in mind. We were looking for exceptional old vine vineyards in great growing regions for zinfandel. So we made some inquiries, and in 2016, with a little perseverance, we got our grapes. Our goal for the wines is to let the vineyards speak for themselves. Let the history and the growers and the soil and site speak through the wines. The wines may be nudged one way or another as needed in the winemaking process, but the ultimate goal is minimal intervention. We invite you to experience these wines and join us in our mission of showcasing these exceptional old vine blocks. 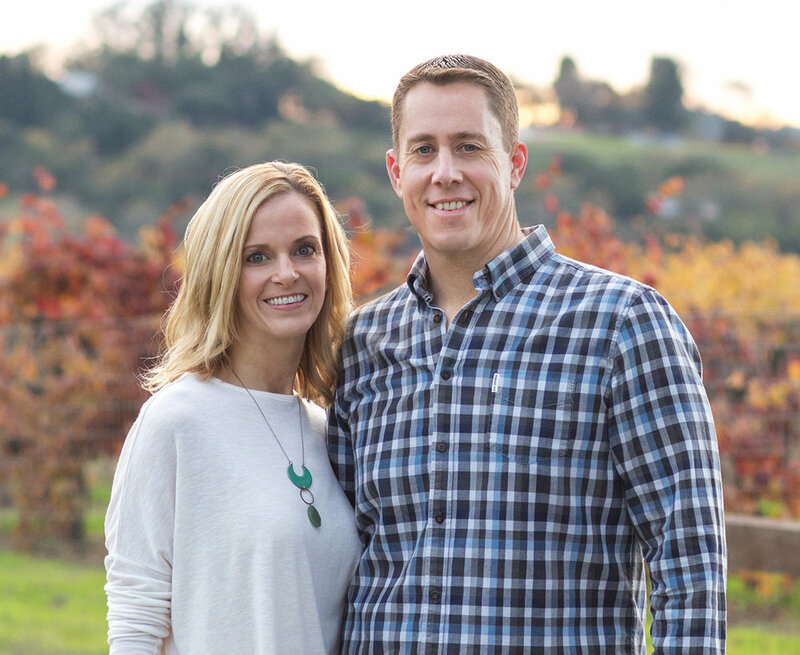 Jeremy Kreck is a winemaker and grew up farming grapes on his family’s Alexander Valley ranch. Mindy is a graphic designer and has crafted the Kreck package in homage to the heritage and legacy of the vineyards in which they source fruit. They live in Healdsburg, CA with their two daughters, Lila and Audrey.